Preparing your home for the summer months comes with a lot of cleaning and maintenance. One thing every homeowner should be prepared for is doing an air conditioner tune up. These tune ups are essential for maintaining your HVAC unit’s longevity and efficiency. But is it a good idea to call in a maintenance company and schedule an appointment? Or can you do most of it yourself? Well, the answer to both of those questions is yes. Keep reading to find out why! Maintaining a clean HVAC unit is an essential part of its longevity. In the spring, before calling in your maintenance crew for a check-up, do some landscape clean up. Make sure all brush, low-hanging limbs and clinging plants are cleared from the unit. This will ensure its vents are clear and that any maintenance that must be done is easily accessible. If you think you can get away without having a professional tune-up, you will probably be wrong. Tune-ups are an essential part of maintaining your unit’s functionality. It will be much cheaper to give it a standard check-up in comparison to an utter failure should your HVAC fail. Having your maintenance company schedule appointments a year in advance takes some of the guesswork out. It will also guarantee your HVAC is getting the care it needs to function well. Schedule all maintenance checks in spring, before the warm weather really settles in. This will be a much more flexible time for the company. It also gives you time to get any repairs done before the heat gets too unbearable. Technicians will go over your HVAC system, checking for fluid leaks, broken fans or test air flow. If there are any issues, they will be able to repair them. There is a relative level of DIY that comes with an HVAC. This can save you some money and keep you aware of your unit and any issues it may have. 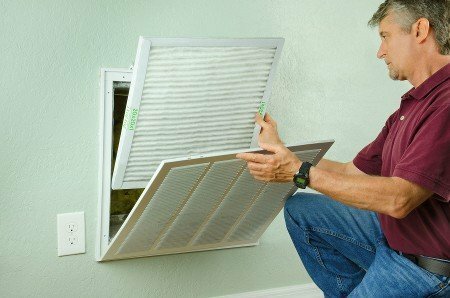 Changing filters, checking refrigerant and keeping the unit clear and clean will help your HVAC run well. If you notice anything unusual like steadily draining fluids or odd noises, be sure to contact your company. It’s also important to note that regular maintenance is part of a warranty agreement for many units. If you keep your maintenance schedule, many repairs that may have to happen could be covered under the warranty. Keeping your HVAC unit running smoothly will save you more money in the long run. Ready to schedule an air conditioner tune up? Our professional staff can do regular maintenance checks for your HVAC unit. They can also repair any issues that may crop up over the years should the worst happen. It’s always important to remember to maintain your air conditioner unit. Keeping it clear of all plant life will keep its airflow running efficiently. Scheduling your appointments today will guarantee it runs smoothly in the hot and cold months.